A stately, refined version of the artist's cylinder cabinet, although slightly more distinguished. 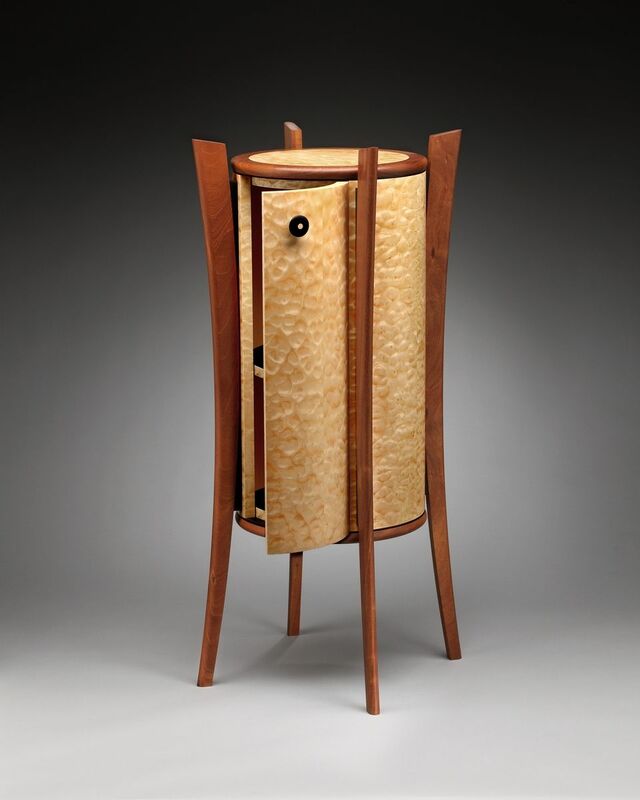 Quilted Chamber's top is crafted out of Quilted Maple veneer edged with solid Mahogany. The top has single veneer with the same density veneer opposite the face to deter warping and or cupping. The cabinet body is finished with a spectacular sample of eight-piece book matched Quilted Maple which is affixed impeccably to six layers of Italian Poplar. The veneers are cross-banded to create a two-ply skin, which strengthens the face veneer before application to the Poplar core. 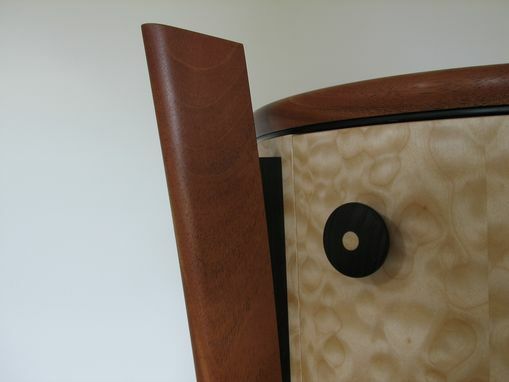 The door on the cabinet front is almost undetectable as the veneer application melts the door into the cylinder shape. A hand-carved door handle is seated on the upper left-hand corner of the door. 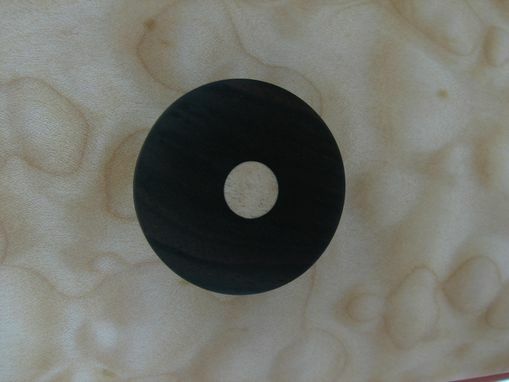 The handle and its stem are made of solid Ebony with a Tiger Maple inlay. The cabinet's interior has an adjustable shelf. Signature-shape legs are solid Mahogany and attached to the cylinder body with solid Ebony spacers. Finished with eco-friendly, non-toxic finish that repels water.